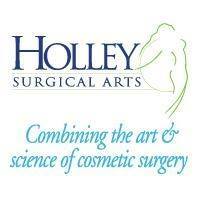 Welcome to the home page of Holley Surgical Arts, where we combine art and science to cosmetic surgery. When it comes to something as important as a cosmetic enhancement, Holley Surgical Arts and Board Certified Plastic Surgeon, Dr. Daniel Holley, can turn back the hands of time with natural looking results. Holley Surgical Arts offers a wide variety of cosmetic surgery and non-surgical procedures including areas for: face, neck, body, breast and injectables. It is essential for you to have confidence in your plastic surgeon. Holley Surgical Arts provides complimentary consultations to discuss any expectations, offers honest information and clear communication to obtain your desired results.”I have the training, experience and credentials to help you reach your dreams. I take the time to listen to you, to get to know you and to find out what’s important to you. I will work with you to achieve the look you want with the safest and most natural-looking results.” Daniel Holley, M.D., Board Certified by the American Board of Plastic Surgeons. Holley Surgical Arts has two offices conveniently located in both Stuart and Port Saint Lucie. Board Certified Plastic Surgeon, Dr. Daniel Holley and his entire staff are committed to your privacy, comfort and goals. We offer a large spectrum of cosmetic enhancements and non-surgical procedures for your personal refinement and encourage you to contact us for a complimentary consultation. We are proud to be the preferred choice of many of the area’s doctors, their spouses and their friends.